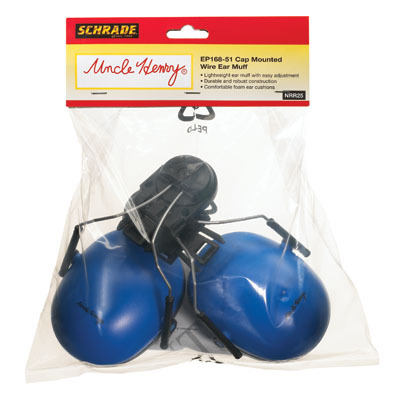 Uncle Henry® Cap Mount Wire Earmuff - NRR 25 - Blue Snap-lock system that fits into most slotted hard caps. 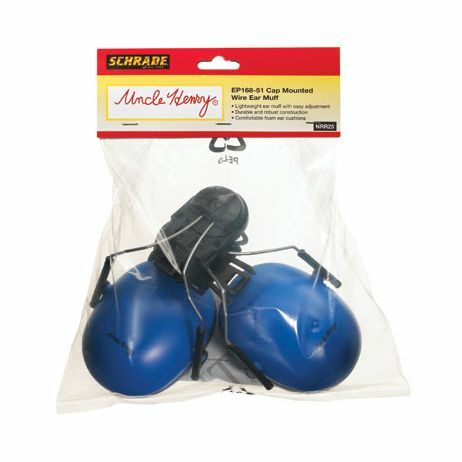 With a durable construction of easy snap-lock parts and comfortable foam ear cushions to accommodate any work activities, Uncle Henry cap-mounted earmuffs are a comfortable option for the worksite. Hard hat not included. NRR 25.